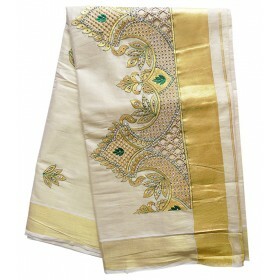 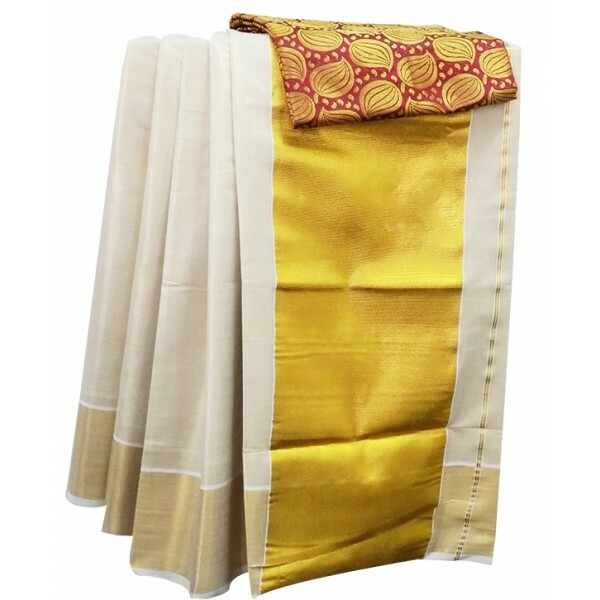 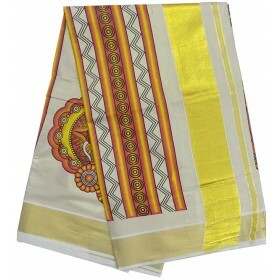 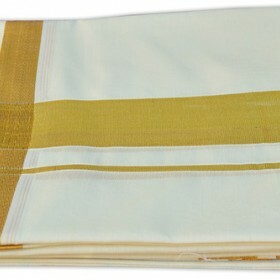 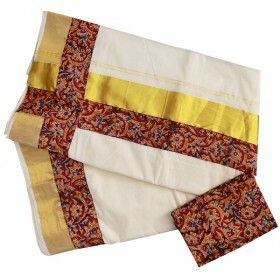 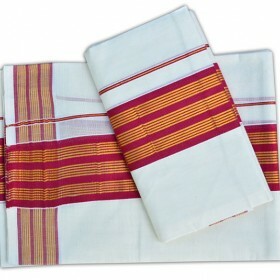 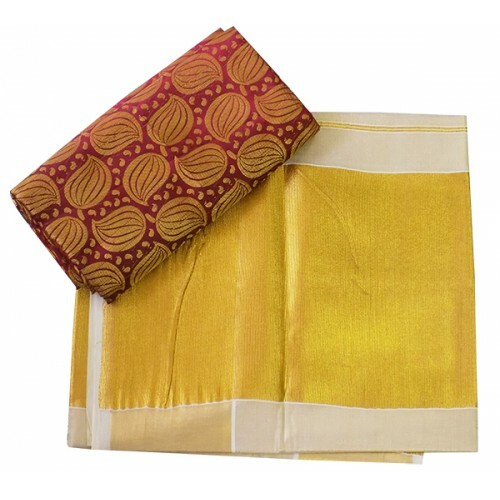 Rich and Royal a Kerala kasavu saree with a big border on the pallu. 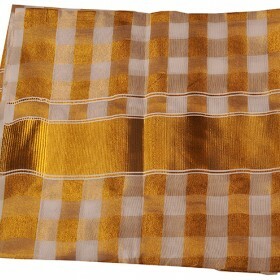 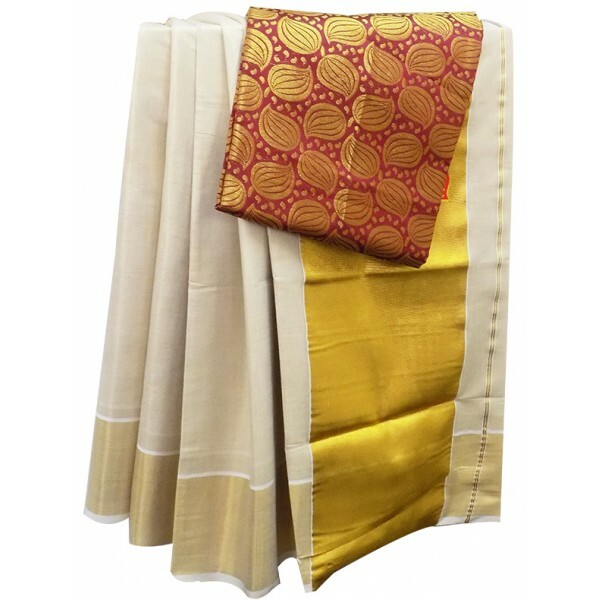 The pallu is plain and has no designs. 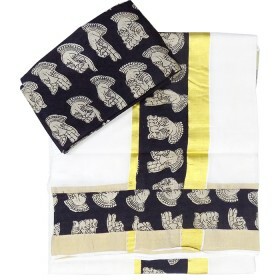 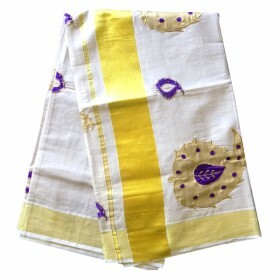 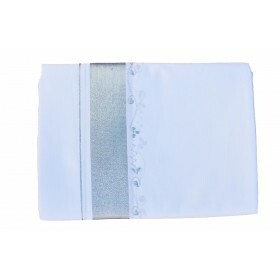 The simplest but the most elegant of tissue sarees.The kasavu of the saree is pure and 1st quality. 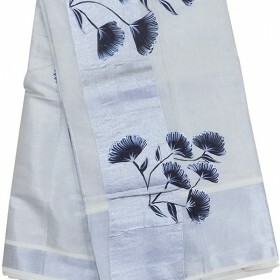 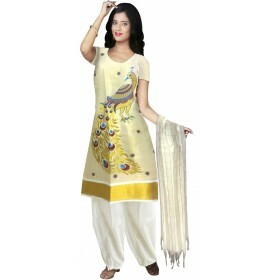 Wear them with contrast blouses for that traditional yet elegant look! 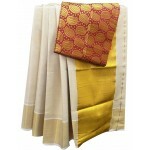 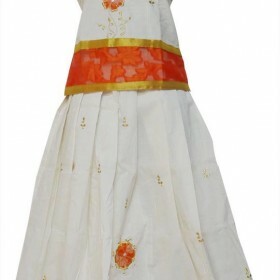 !Saree comes with running blouse and also with brocade blouse piece is available.